This is a guest “adventure” post from Jane and Carolyn. This is an article to excite e-bikers to plan a multi-day trip in some fantastic locations and to thank Pete for his generosity in loaning us two e-bikes for an afternoon in Sedona, Arizona. We had wanted to try out an e-bike on a multi-day trip ever since our city bike tour in Copenhagen in 2011. It was only a 4 hour tour and more significantly we only rode on flat ground. To find out how e-bikes would ride in hilly terrain, we contacted Pete. He was most gracious and offered to have us come to Sedona to see what it was like to ride an e-bike on steep terrain. Thanks to Pete’s encouragement and our excitement, we set out on some wonderful adventures.…Thanks again, Pete. To fully appreciate these trip reviews, consider that we are both senior women, one of us being in mid 60ʼs and the other in mid 70ʼs . We both have had our share of orthopedic & neurological surgeries (including, necks, back, knee, shoulder, hand). I am a novice bike rider whereas Carolyn has spent some time on a regular bike tooling around a university campus, etc., but, by no means, could we be considered seasoned “bikers”. 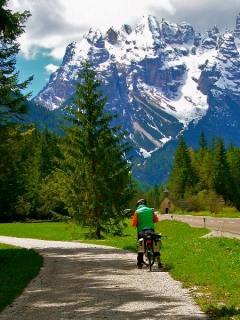 I make this introduction to point out that if we had the capability to ride the steep hills in the alps area of Italy, then most any of the population can do these types of trips. We wanted adventure and we were ready to explore the country side of Croatia, Austria, & Italy by electric bike! After gaining some confidence from Pete in Sedona, we were off to Croatia for a nine day “guided” tour. On that trip we had the pleasure of having two guides everyday. There were approximately 30 of us, half with regular bikes & then the “others” of us with e-bikes. This first trip was arranged through Pack & Pedal (aka Tripsite.com) which is basically a New York company which “brokers” European bike tours. Our base for the trip was a deluxe class yacht which departed form Trogir, Croatia and took us on an 8 day bike & boat trip to cycle islands off the coast of Croatia called the “Emeralds of the Adriatic”. 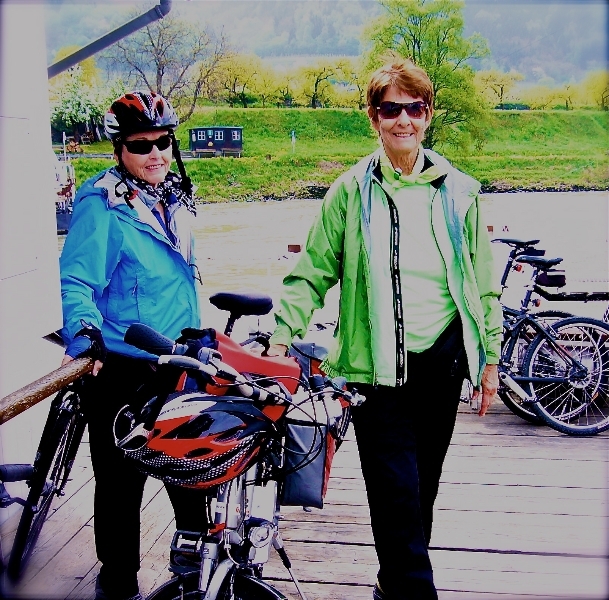 That was our 8 day e-bike trip in 2012 and we were ready for 2 more adventures in 2013: a 9 day Danube e-bike tour from Passau, Germany to Vienna, Austria and, best of all, a Dolomites “home base” tour in Northern Italy. 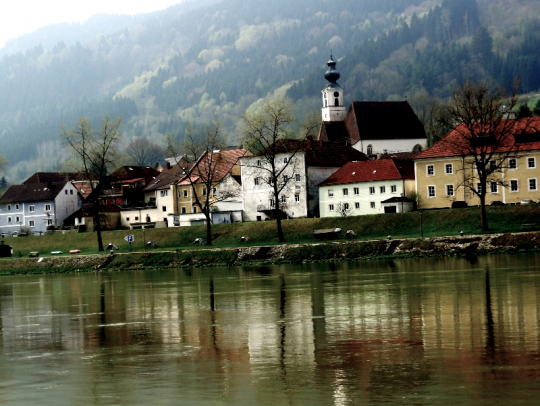 This was a trip where we went from town to town from Passau, Germany to Vienna, Austria. Our rented e-bikes had 7- 9 gears ( depending on the tour) with 3 power boost modes. I found my groove easily in Gear 7 and “standard” assist mode allowing me just enough exercise without too much strain—and allowing me the opportunity to enjoy the lovely hazy view along the Danube…..and more notably, the snow capped looming Alps in Italy. Okay, at times, especially at first, we felt a bit “dorky” or sissy because of the ʻhelpʼ along the way. HOWEVER, we took stock and realized that we could not have experienced this whole array of experience without these bikes. The trails were well maintained and the vast majority were bikes only. They are marked (sometimes confusingly, but they are marked). So if you have a penchant for making your own way without a guide & want to still feel that you have worked, this may prove adventurous for you. These e-bikes are not motorcycles. We still got plenty of exercise & enjoyed speeding around wooden chalets with geraniums bursting from wooded boxes. Perhaps the joys were even greater since one is able to look around without a burning, gasping body to distract from the scenery…. 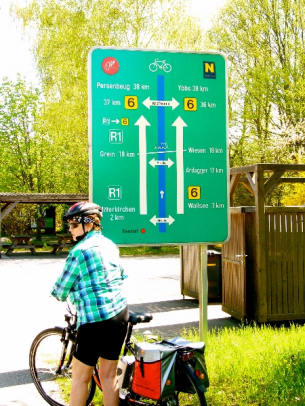 During these multi-day trips from Passau, Germany along the Danube to Vienna, we spent 3-4 hours riding then usually an hour to decipher poorly translated directions and finally locate our Inn. And that was just enough time to find a place to eat, unpack, remember to charge our battery, then pack our bag ready for pick up at 9:00 AM in the lobby, and start all over for the next day. On an average we rode 25-35 miles per day. The total trip was just under 170 miles. This was a “home base” tour where we stayed in one hotel then took day trips each day always ending up at the same hotel. Sounds easy, but remember that we are no spring chickens and that most times it was hard to relax and be confident that we were on the right “path”. We asked for directions many times. We would both agree that the “home base” multi-day trip was much to our liking. We chose a small Italian town in South Tirol which is in the Dolomites area of the Italian Alps. 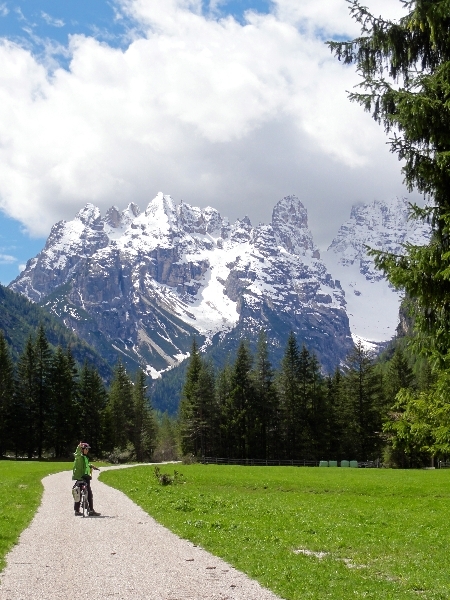 This Dolomites trip far exceeded our expectations; both the scenery and the bike routes were exceptional. If there is more beautiful scenery, I have not seen it! We rode along glacier streams and high meadows with sheep grazing hundreds of meters above us. We not only could feel the scenery but smelled and heard it too. We inhaled lovely unspoiled forests and snow capped alps. 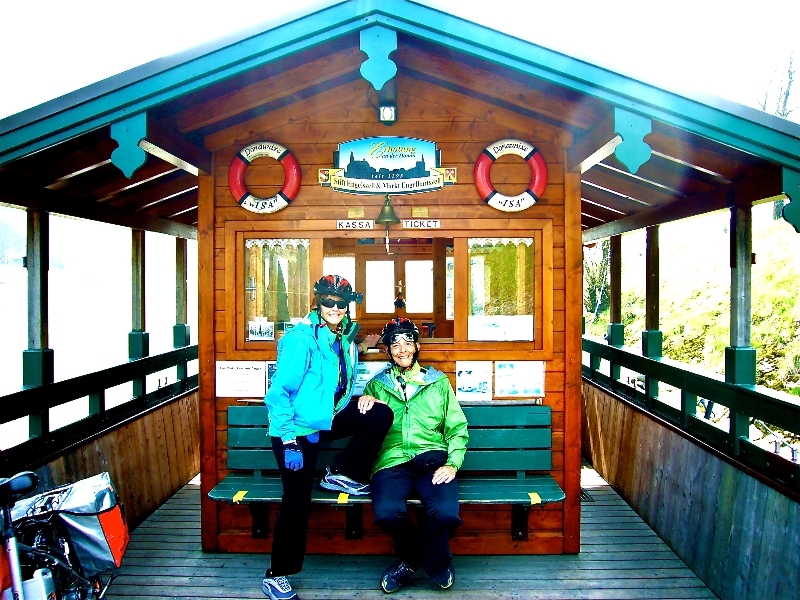 In this little town of Toblach, Italy straddling the Austrian border, we upgraded to a four star “wellness” hotel and splurged on half board which was in the end, a great decision. It was the Park Bellevue, glorious! 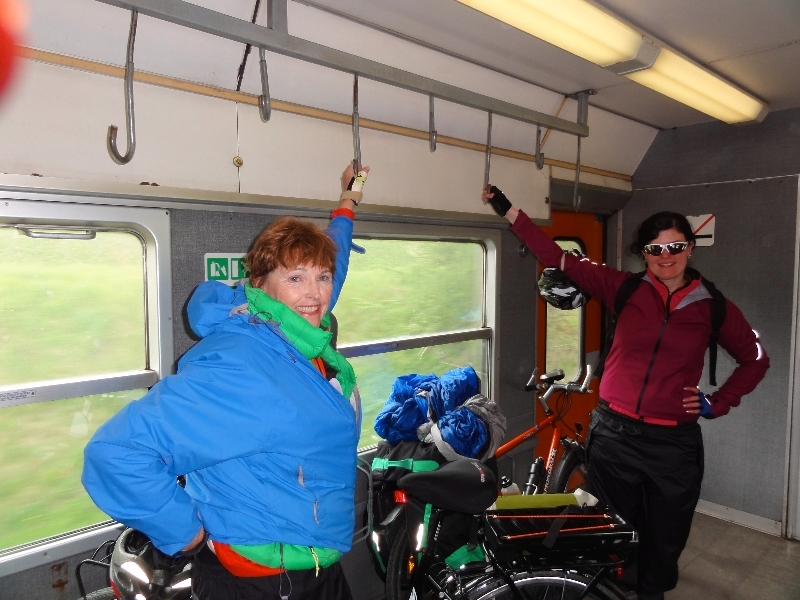 We rode a day trip each day; the company Funactive would take us by van each morning to a high pass & we would ride back to town to our wellness/spa hotel just in time for a sauna, steam bath and a four course dinner which just couldnʼt be surpassed. Since we had a home base, we didn’t have to completely pack up each morning, or worry about where to find out next Inn. Definitely this was our preference. 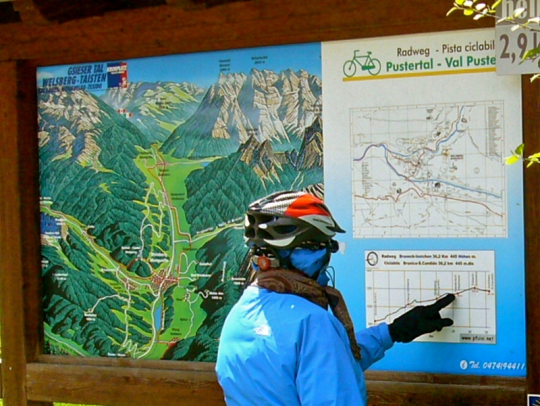 WE highly recommend the company Funactive ( aka Italybikes). They offered excellent personalized service. The staff were friendly. The transportation was aways on-time. And even the lack of real “English” translations added an air of authentication. Freddy Mair, the owner of Funactive, personally met with us and added his own touch of “the real thing”. Make you want to go? We are already booking our next European e-bike trips for 2014 . For further information on trips & discounts, you may contact me by leaving a comment below. A word of caution about the “train” ride. Some rail stations (bahnhof) have lifts, and others not. So if your ʻplatformʼ is number 3 or higher you may have to walk your bike up & down some very steep stairs. Of course, then there is the loading. Bikes must be loaded into rail cars marked for “bikes” and this is no mere task when you consider that these ebikes weight in the neighborhood of 45 to 65 lbs. I must say that “getting our bikes on & off trains” was more than we bargained for. If not for the kindness of strangers, in many cases we would have been in deep Yogurt! So seniors may want to to rethink this particular chore. For next year we plan to do a “work around” for day trips involving trains. European bike etiquette ( & safety ) is not the same as America. We never heard a “Behind You” or “OnYour Left”, so take a rear view mirror for your bike or helmet. If you have any comments and/or questions for Jane and Carolyn, please leave them in the comments section below. I really enjoyed reading about you e-bike adventures. I am originally from Denmark but have lived in Montana for decades. I am currently on vacation in Copenhagen and have looked at lots of e-bikes, both for here and for more mountenous areas. I wonder if you have a favorite brand and model – that i can purchase either here in Europe or in the US. I find it confusing to talk only to people selling bikes. I, too, am a biking senior (74 years old) so I would really appreciate some advice. Thanks again for sharing your experiences online. I have limited experience as each trip provided a different ebike. We definitely liked the SwissFlyer used in Croatia. That one was white & had the battery mounted in middle. Not sure these bikes are available in US. Wow, thanks south for the trip report! I got an ebike several weeks ago while out in Colorado and realized that it would be a great way to bike around Europe …. 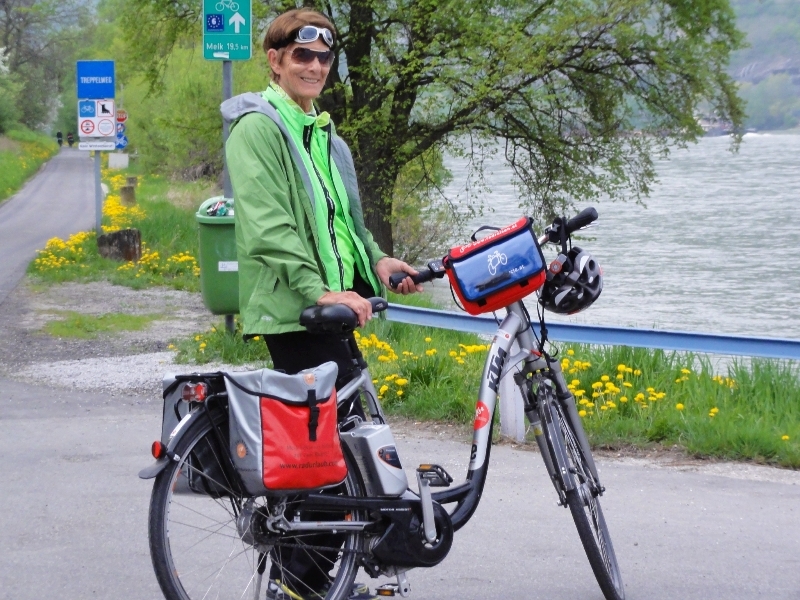 I cycled Europe at 30 and it was great fun, and definitely the best way to get a sense of the countryside… Always wanted to go back but, remembering cycling the alps at great shape and 30 realized it might not be so much fun ( I turn 63 tomorrow) these days… And then I got my ebike ( to replace my Vespa that I used around New Orleans …. And it’s like being 10 years old again!! Zipping around even in the worst of the heat and humidity in New Orleans ( my commute is about 15 miles from uptown to the French quarter and back… Not bad on a regular bike but easy to decide that I didn’t have the time, it was hot, whatever…. And, as you say, you definitely get exercise ( actually maybe more because I’m having so much fun zipping around that I’m pedaling harder and going everywhere on the bike!! 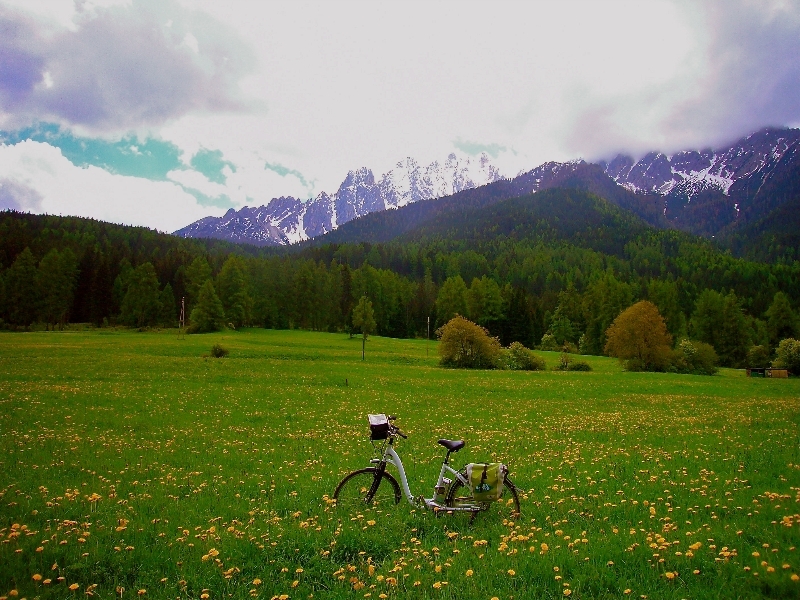 And I can ride with my 23 year old son again ( a great equalizer ), anyway starting to plan on Europe next summer, thinking of the passus to Vienna but the Dolomites sound interesting … Thanks so much!! 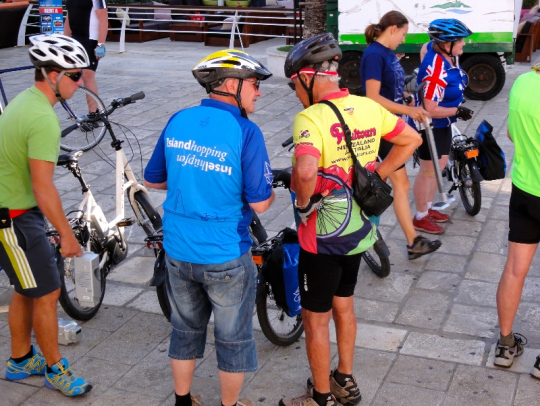 We are glad you enjoyed our ebike tour Report. In fact we enjoyed it so much that we are now immersed in travel plans for 2014. The first leg of the trip is a 2 week transatlantic cruise starting in New Orleans to Barcelona. And since you are a resident of new Orleans , we’re thinking you might have information on things to do that are perhaps ‘ off the beaten path’. PS What make/ model or ebike did you end up purchasing ? Great, should be a good time of year to be in New Orleans… Unfortunately, as of yet, there are no ebike rental places although there are some bike rentals ( it is very flat here)…let me think on places to stay, etc… I’d be happy to show y’all around when you’re down here, New Orleans is actually a great cycling city, much easier and more fun to get around on a bike than car in traffic jams due to lots of construction … Check out park view guest house on st. Charles ( street car line and across from Tulane) and there are some guest houses in the garden district and bywater area ( i’ll do a little a little research and get back on that) ….the quarter is easy to get to on streetcar so not necessary to stay down there and uptown is very pleasant, locals and students, lots of restaurants and great architecture… I find New Orleans endlessly amusing to walk and bike because if the architecture ! When my Vespa died after 10 years of yeoman duty I started researching ebikes because of the proliferation of bike paths and high insurance rates but was a little reluctant to spend a large chunk of money on something without a test ride… As it turned out, I had to drive out to Colorado to pick up my German shepherd ( my son was returning to New Orleans in a packed Subaru and Rambo is too old to fly) so I went to ( coincidently) petes ebike shop in boulder, they were great, very knowledgable and let me test out all sorts of bikes… In the end I got a BH Emotion sport bike ( manufactured in Spain not china) which is sort of like a hybrid road/ commuter bike and lighter than other ebike models ( I have to haul it up and down 4 steps to get into my house in uptown New Orleans) and rides much like my road bike ( I had to defensively assure my regular bike shop in New Orleans that I was replacing Vespa not my bicycle with the ebike! )… And once I got it, I realized it would be perfect for bike touring in Europe again… So i would live additional info on your bike tours! Anyway, I’ll keep an eye out for other ebikes, surely some entrepreneur will realize that would be perfect for this city! Look forward to any more news re: bike rentals , places of interest ..